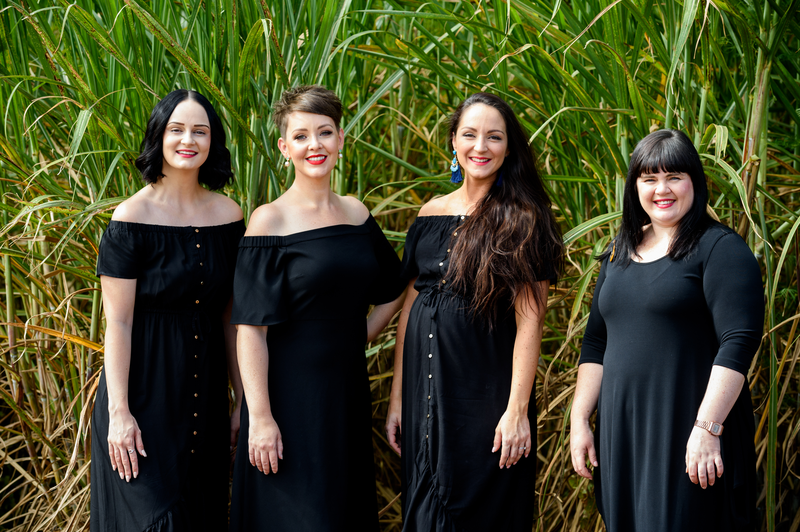 After a sell-out success in 2017 for their 'Women In Voice' performance Bundaberg's finest vocal talent, Jess Modolo, Natalie Sweetapple and Suellen Cusack-Greensill, return to the stage for 'She's the Voice – A Salute to Australian Music' with the fabulous addition of Mel Lathouras. Together these talented ladies bring their wealth of experience on stage and musical accolades to serve up a musical masterpiece guaranteed to receive raving reviews. Come be a part of the full sensory experiences this Winterfeast with fine music, fine art and fine food at the Moncreiff Entertainment Centre's 'A Winterfeast For The Senses'. This year the Moncrieff Entertainment Centre has partnered with Bundaberg Regional Art Gallery to bring together a visually inspiring space for guest to enjoy a local produce focused meal prepared by local chef Dion Taylor. Dion Taylor is a man of many names and many businesses – Food For Fork, Farming Families, Last Stop Convenience and Catering, and, most recently, Heart and Soul Gourmet Meals. Dishing up delectable, hearty and healthy dishes all over the Bundaberg region is Dion's speciality with a focus on showcasing locally grown produce. This Winterfeast he shares with us one of his favourite producers who's sweet potatoes will be adorning the menu he's prepared for the Moncrieff's 'A Winterfeast For The Senses', Greensill Farming Group. Beginning in 1864 when Fredrick and Matilda Greensill migrated to Australia from England, purchasing a parcel of land near Albany Creek, Brisbane, the Greensill Farming Group has seen a vast number of changes including a move to the Bundaberg region, a change in crop production and farming practices. These days Greensill Farming Group continues to operate as a family-run business growing sweet potatoes, watermelons and sugar cane in the rich iconic red soil of the Hummock. Employing 120 local employees full-time this dedicated family farm believe the most important part of their business is the people who day-in-day-out assist in producing the best possible crop for their customers while growing their agri-business knowledge and supporting the wider community. This Winterfeast we showcase the works of family-run local farms, like the Greensill's, whose generations of knowledge and hard work allow us to experience sensory wonders in every bite. Where Can I Experience Fine Music, Fine Food and Fine Art this Winterfeast? Come experience a sensory masterpiece at 'A Winterfeast for the Senses'. Enjoy chef Dion Taylor's culinary delights at the Bundaberg Regional Art Gallery while you soak up the euphoric sounds of the Bundaberg Sinfonietta. Grab a dessert box to enjoy with the show before making your way to the Moncrieff Entertainment Centre for "She's The Voice – A Salute To Australian Music'. Battle of the Seafood Platters: Who Provides the Goods?